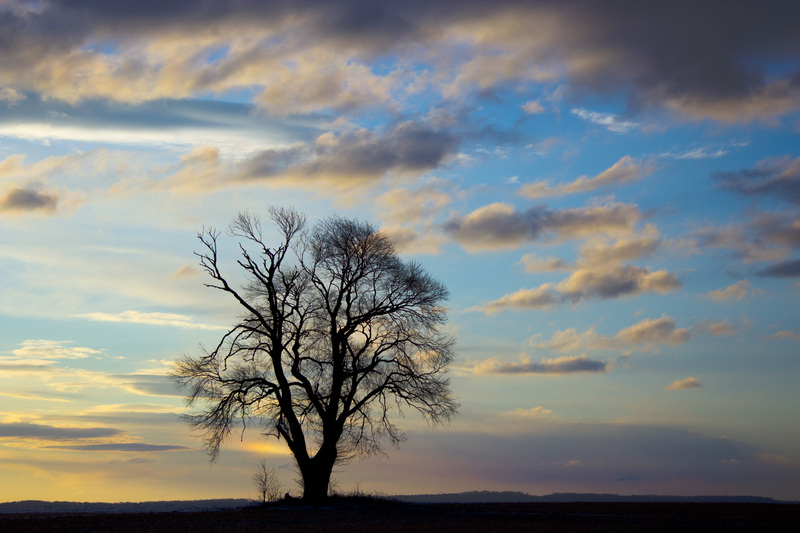 This is a pic of a lonesome tree which I found in Lancaster right by the Lancaster Host. I took this photo while I was in Lancaster and I decided to beat the sunrise. I had been on a search for a lonely tree to capture a feeling of loneliness while firmly connected at the same time. This tree is strongly rooted. It gives a feeling that at one time it was not alone. Instead of looking at the tree as disconnected and alone, one can honestly say that it has outlasted all its surroundings. So the next time you feel alone, think to yourself, I am so strong that I have truly lasted longer than anyone else. And although it may seem as though as though you are alone, your roots go further than you think. I took this shot with a digital camera called a Canon T3i. Because the light wasn't too scarce, I raised up the ISO a bit and gave it a quicker shutter speed. I gave it an f-stop of 6.3 with a shutter speed of 1/640 to ensure the picture was clear. I am not the worlds best photographer by any means. But I don't claim to be an expert. So if all you DSLR snobs out there, haha, that know everything, don't even bother dropping a comment unless it is helpful. Thanks for your understanding. Here I am, Jeremiah Williams, with some playing with light.